Looking for how to temporarily deactivate Facebook account so you can get off Facebook distractions? This article contains a step by step guide to assist you in deactivating your account with ease. Facebook is full of annoying things not to mention fake news which is becoming the order of the day. Plus the issue of fake life by friends presenting themselves as being overly successful. 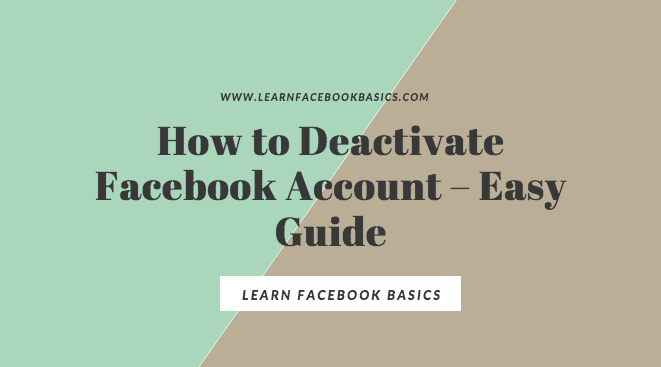 If you want, you can delete your Facebook account permanently, but you need to think twice if you really need to get rid of your account permanently as this may backfire. Once your account is permanently deleted, you can't get it back ever!!! Visit www.facebook.com/deactivate.php to deactivate your Facebook account temporarily. Remember, do not login again, if you login, your account will be reactivated immediately. Please share this article with online friends. Thank You!! !